If there was a way to reuse your poop so that you could use it for something functional, would you do it? You might need to stand the smell lingering in your backyard, but it will save you energy bills. Now, there is a device prototype that can transform your leftover food and organic waste into gas and liquid fertilizer. This device is called the BIO-RESY, the world’s so-called most efficient multi-purpose household biogas system. This device promises to generate poop fuel, enough to power small engines. If this trend catches on, a poop fuel Tesla could be the next thing that is coming. BIO-RESY is a simple-to-transport, suitcase-size inflatable device that you can easily assemble in your backyard. The device has a “digester” at its bottom, which allows the organic waste to be broken down by bacteria into liquid fertilizer and gas. The BIO-RESY has an Eco-toilet that connects to it, converting human waste into energy. The Eco-toilet should reduce your water consumption by only using 1.5 liters of water per flush, compared to the average of 6-14 liters for a regular toilet, with the low end of the range for an ultra-low-flow version. BIO-RESY produces gas and fertilizer, which you can use for household needs. You can recycle organic liquid fertilizer into your garden to grow more vegetables. The campaign says that while organic fertilizers cost a fortune, you can produce your own organic fertilizer at home, with up to 15 liters of liquid fertilizer concentrate per day. Additionally, you can use the gas from the top of the device for cooking, lighting, and other utility needs. While you might feel odd using the BIO-RESY gas to cook your meals, you can use it for other needs such as running a fridge or small engines. You can also store the biogas for later use. This is a great way to get off the grid and run your own household. If you really want to cut down on your energy bills and be totally independent, you will need solar roof panels and you will need to find a way to recycle your waste for growing your own plants. This is what many people are doing nowadays, as they grew tired of the corporate rat race. Additionally, if this trend of poop fuel catches on, it might become the next best way to power automobiles. 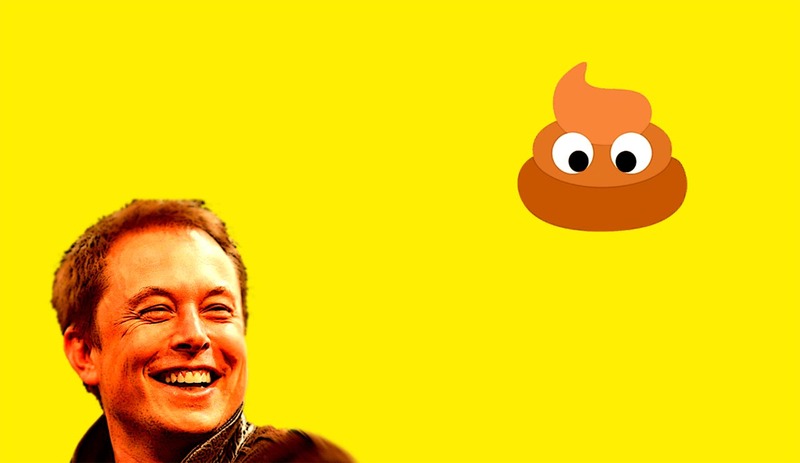 Instead of a mushroom-powered Tesla, one can have a poop fuel-powered Tesla. Elon Musk will be laughing at this genius.